You can make a direct donation to Jubilee House in several different ways! • by cheque made payable to Jubilee House Care Trust, and posted to our Business Office at St David’s House, 11 Blenheim Court, Brownfields, Welwyn Garden City, AL7 1AD. If you are a UK taxpayer, and are able to enclose a gift aid declaration with your donation, it will add 25% to the value of your donation at no extra cost to yourself. Gift Aid declarations can be found here. • in person. You can bring donations to our Business Office at St David’s House, 11 Blenheim Court, Brownfields, Welwyn Garden City, AL7 1AD during our normal office hours of 9am to 5pm Monday to Thursday. • by regular standing order via your bank. A regular monthly, three-monthly or annual gift via your bank can be set up by standing order. Please contact us on 01707 390107 or enquiries@jubileehouse.com for more information. • in place of funeral flowers. Many people like to donate to charity instead of giving flowers after the death of a loved one. Please contact us on 01707 390107 or email us at enquiries@jubileehouse.com for more information on how we can help you. 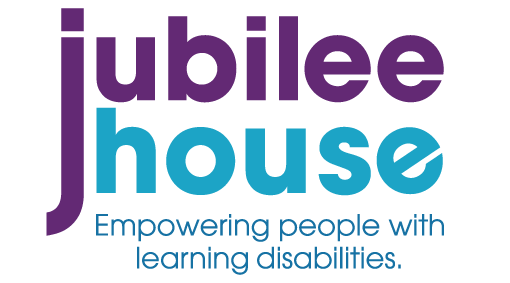 If you have any other ideas about how you can donate to Jubilee House please let us know, even a small donation helps us improve the lives of the people we support.